DIABETES specialists across the world are calling for a radical mind-set shift in treatment for Type 2 diabetes so that doctors can recommend bariatric surgery for patients. They say the surgery is close to the holy grail of a diabetes cure. Diabetes is a major cause of kidney failure, blindness, nerve damage, amputations, heart attack and stroke. Type 2 diabetes is a global epidemic, with the number of diabetic adults having quadrupled from 108-million in 1980 to 422-million in 2014. SA is facing the twin epidemics of obesity and Type 2 diabetes — the incidence of both has increased so rapidly that doctors now refer to it as “diabesity”. In a special issue of Diabetes Care, 45 international organisations have published a joint consensus statement with new guidelines recommending bariatric surgery for Type 2 diabetics even for patients who are only mildly obese. The groups say extensive clinical trials show the surgery can improve blood-sugar levels more effectively than lifestyle or pharmaceutical intervention methods, and may lead to long-term remission. The statement follows the second Diabetes Surgery Summit held in September 2015 at King’s College London, organised jointly by Diabetes UK, the American Diabetes Association, International Diabetes Federation, Chinese Diabetes Society and Diabetes India. THE authors say most cases of diabetes (about 90%) are Type 2, and fewer than 50% of patients are able to control their blood-sugar levels adequately with diet, exercise, or drugs. This makes bariatric surgery a viable option. But, other experts say this finding is unscientific, dangerous and a “dark day for patients, possibly a gift for lawyers”. Bariatric surgery is the umbrella term for metabolic, gastrointestinal procedures that were originally designed to induce weight loss in morbidly obese patients. It involves the cutting, manipulating or bypassing parts of the stomach or intestines. It includes Roux-en-Y gastric bypass (RYGB), a common stapling method that reduces the size of the stomach to a small pouch, and biliopancreatic diversion (BPD). Complications of bariatric surgery include pulmonary embolism, internal bleeding, heart attack, stroke and death. A PRIME proponent of the new recommendation is King’s College London professor of metabolic and bariatric surgery Dr Francesco Rubino, first author of a paper in Diabetes Care investigating the costs and benefits of meeting potential demand for metabolic surgery in the UK and US. Rubino has been researching the link between gastrointestinal surgery and glucose homeostasis since the late 1990s. He was one of the first to provide experimental evidence that bariatric surgery can improve diabetes independently of weight loss. In a commentary in Nature, Rubino says the new guidelines come nearly 100 years after the first clinical observations that diabetes could be improved or resolved surgically. He has witnessed “first-hand how getting to this point has required many clinical scientists to put aside long-standing preconceptions”. Future progress will require “more thinking outside the box”, he says. Prof Jennifer Rubin, from King’s College London Policy Institute, says the case for increasing the uptake of bariatric or metabolic surgery appears “strong enough to engage policy makers and practitioners in a concerted discussion of how best to use surgical resources in conjunction with other interventions in good diabetes practice”. 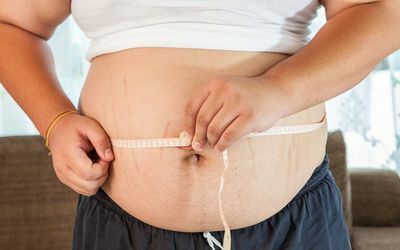 ENDOCRINOLOGIST Dr Tessa van der Merwe, honorary clinical professor and researcher at the University of Pretoria, says metabolic surgery is the most cost-effective long-term treatment for obese diabetics. She says it is “the only means of achieving complete or partial remission of diabetes”. Surgery can also resolve other comorbidities (coexisting diseases) and improve quality of life drastically, says Van der Merwe, who is also the chairwoman of the South African Society of Surgery for Obesity and Metabolism and CEO of Centres of Excellence for Metabolic Medicine and Surgery in SA. Metabolic and bariatric surgery is rigorously controlled in SA, Van der Merwe says. The most frequently performed surgery in SA is the laparoscopic RYGB, which remains “the gold standard for metabolic surgery”, she says. Costs to patients vary, depending on their medical aid. Most large medical aids will contribute “a significant amount towards treatment costs, but at this stage, will only consider patients at a BMI (body mass index) above 35kg/m²”. As a general rule, the total co-payment for patients on medical aid is about R30,000 for RYGB and R50,000 for BPD, she says. Worldwide, the criteria for acceptance of a diabetic into a metabolic surgery programme have shifted downwards to include a BMI of 30 and above, says Van der Merwe. “This is not a radical step”, but rather a “carefully considered move, based on many years of research and outcome data”. DOCTORS who are overly critical usually have no significant experience or any knowledge of this field, Van der Merwe says. South African-born Dr Robert Cywes, a bariatric surgeon and researcher in the US, says the data that surgery resolves Type 2 diabetes is “at best currently anecdotal and associative”. He says doctors must understand the causes of diabetes and how bariatric surgery resolves symptoms. The data does not show that surgery is the reason the diabetes has resolved, nor is it as a result of weight loss. There is currently “no causal pathway that directly links the bariatric surgery to the resolution of Type 2 diabetes”, says Cywes. There is research to show a 95% resolution in Type 2 diabetes symptoms after RYGB in adolescents, but doctors need to understand the mechanism “far more carefully than simply assigning the correlation between (the) surgery and resolution of Type 2 diabetes as causal”. TYPE 2 diabetes may be associated with an increase in weight or with obesity, but this relationship is not causal, Cywes says. The duration of any resolution of diabetes “will not be permanent unless the patient understands and maintains the true reason why it resolved transiently after surgery”. “Chronic excessive total carbohydrate consumption is shown to be causal both to obesity and Type 2 diabetes,” Cywes says. THE weight gain will continue until the genetic capability of their pancreas to produce enough insulin to deal with the excessive carbohydrate load peaks. “When people consume more carbohydrates over time than the pancreas can produce insulin, the gap is called Type 2 diabetes,” Cywes says. Cywes says weight loss after bariatric surgery lasts no more than one to three years, after which few patients lose any further weight — unless there are complications. If patients don’t change their eating behaviour radically, and in particular tackle their carbohydrate addiction, both the weight and the Type 2 diabetes return over time. This is especially true of patients who figure out a way to eat through the “dumping syndrome”, also known as “rapid gastric emptying”, which is common following bariatric surgery procedures that bypass or remove some or all of the stomach. “Only a radical reduction in total carbohydrate consumption can cause Type 2 diabetes to go into remission,” says Cywes. US professor of cellular biology at New York State University, Dr Richard Feinman, says the groups that have endorsed bariatric surgery for Type 2 diabetes have given themselves “the privilege to ignore the scientific data on differences in diets and the evidence that low-carb is first choice”.